Chapkpori reflected in the waters of the Kyichu river. The Tibet Album. 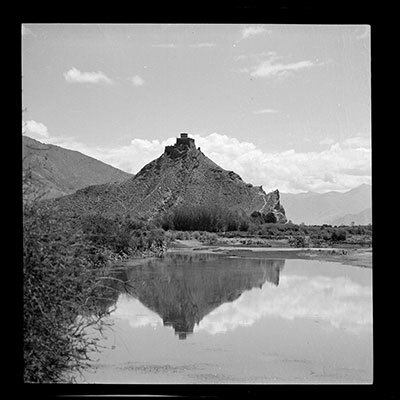 "Chakpori reflected in the waters of the Kyichu river" 05 Dec. 2006. The Pitt Rivers Museum. <http://tibet.prm.ox.ac.uk/photo_2001.59.8.54.1.html>.